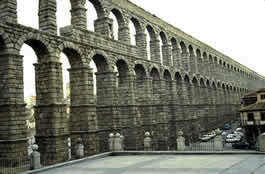 Spain has a long and unique history and the oldest historical findings dates back to about 30000 to 50000 b.c. Among the most important remains of this period are the caves Cova Negra (Jtiva) and Piar (Granada). The Iberian population are thought to arrive from the north of Africa and to settle in the south of Spain. The next important invasion came when Celtic tribes by 1200 b.c. entered the peninsula from the north. The Celts mixed up with the Iberians and generated the celt-iberian race. By 1100 b.c. Phoenicians and Greeks arrived to the peninsula and founded colonies in the southern Spain, along the Mediterranean coast. During the Punic Wars between Rome and Carthago, Carthaginians invaded Spain and conquered large parts of it. Do you have any questions or comments about the Spanish History or Culture? Try our forum! Here you can post your comments or questions anonymously or you can create a new account in a minute which gives you the right to post new forum topics. CLICK HERE. The Romans entered Spain defeating the Carthaginians, who had settled mainly in the eastern parts of Spain, in Ibiza and Cartagena. In a short period of time the Romans ended up conquering the entire peninsula. Spain became an important part of the Roman empire and the Roman culture and language made a great influence within the Iberian Peninsula. In 409, when the Roman empire started to fall, Gothic tribes invaded the peninsula and established their kingdom in 419. The Gothic dominance lasted until 711, when the Muslims crossed the Straight of Gibraltar and defeated, the last Visigoth king (Roderic). The Moors conquered major parts of Spain and was particularly dominant in the southern parts of Spain called al-Andalus. The Muslim period lasted for more than 700 years and was divided into three periods: the Emirate (711 to 756), the Caliphate (756-1031) and the Reinos de Taifas (small independent kingdoms) (1031 to 1492). It reached its splendor in the second and third periods where first Cordoba and later Granada were the indisputable cultural center of this area of the world. The re-conquest took pace in 1469 with the marriage of Isabel and Ferdinand, which united the northern kingdoms Castilla and Aragon. The Muslims rapidly lost territory and was finally defeated in Granada, in 1492. After this Isabel and Ferdinand succeeded in uniting the whole country under one crown and thousands of Jews and Moors who didn't want to convert to Christians were expelled or killed. In the same year as the conquest of Granada Christopher Columbus discovered America. This period was also called the Golden Age where Spain rose in international influence mainly financed by the gold and silver brought in from the new continent. Under the Spanish emperor Charles I., grandson of Isabel and Ferdinand, the Spanish, German and Austrian kingdoms was united. This splendid period of the Spanish history only lasted 50 years, where after wars and internal conflicts undermined the Spanish influence. After the French revolution Napoleon defeated the Spanish army in 1808 and replaced the Spanish king (Ferdinand VII) with his brother. When Napoleon was finally defeated in 1815, Ferdinand VII restored the Spanish throne and named his daughter as his successor. His brother Charles rebelled against this decision which resulted in a long period whit internal conflicts and economical recession and with the final consequence that Spain lost its many colonies in America. In 1931 the Republicans (the political left wing) won the general elections and Alphonse XIII (the king) decided to leave the country. The increasing conflicts between the Republican government and the Nationalist opposition led to the Spanish Civil War (1936-39). The Nationalists, led by General Franco, received extensive support from Nazi-Germany and fascist Italy and succeeded against the Republicans. During the World War II Spain kept natural and during the 50's and 60's the dictatorship of Franco isolated (economically and politically) Spain from the rest of Europe. With the dead of Franco in 1975 the constitutional monarchy was established and Juan Carlos de Borbon, the grandson of Alphonse XIII, was proclaimed king. In 1982 the socialist party (PSOE) won the elections and Felipe Gonzalez stayed president for 15 years. During this period Spain became member of the NATO and entered the European Community in 1986. In 1996 Jos Maria Aznar of the conservative party was elected president and is also today the president of Spain.